We are five days into December and I am yet to post this month. Any other month I wouldn't care so much, but it just feels wrong to have posted so little about my favourite time of year! I don't know why, but it really feels like Christmas snuck up on me this year. It feels like Halloween was just yesterday. Anyway! I decided to start of my December posts with the obligatory favourite Christmas movies post. So here are some of my favourite Christmas movies to watch over the festive period, in no particular order. My sister Eva introduced me to this little gem of a movie in last years run up to Christmas, and then we picked it for our Christmas Eve movie. The Family Stone isn't your average jolly Christmas movie. It's not exactly one you'd stick on for the kids. It's darn right sad at some points, to be honest. But Christmas is about family, and this movie is ultimately about just that. I'm very family orientated and I guess that's why I'm really drawn to this movie. Not to mention it has a stellar cast, with the likes of Diane Keaton, Sarah Jessica Parker, Craig T. Nelson, Rachel McAdams and Luke Wilson. To be honest, I'd recommend it any time of year but if you're looking for something a little different this festive season I'd recommend giving it a watch. Okay, so I'm a sucker for cheesy movies. And you don't get much better than some of the movies Channel 5 plays on the run up to Christmas. One year I was lucky enough to catch a Hallmark original Christmas movie called The Christmas Card, and it's been one of my favourite Christmas movies since. It's about a soldier in Afghanistan who is touched by a Christmas card he receives from a woman as part of a Christmas goodwill effort. During leave he decides to visit the small picturesque town the card was sent from and you can imagine how things unfold. This is just a simple old feel good Christmas movie. I can't wait to watch it this year! Finally one for the kids! I think this movie pretty much speaks for itself. Personally I think it's one of the most iconic Christmas movies ever. Maybe that's just me being a big Tim Allen fan. I can't believe I was four when this movie came out though! But it definitely still holds up. If this movie doesn't get you in the Christmas mood, well... I don't know what to tell you. This is another television movie that I caught on Channel 5 one year. It's about a burglar that comes to a sleepy little town after escaping being caught robbing a department store. He's forced to take a menial job as Santa under an alias, at a nursery owned by a single mother. They become close and he starts to feel at home in the little town, when one of his old friends comes in to town and convinces him to help plan a bank robbery. It sounds a little dark, but it's actually just another simple feel good movie. I love how television movies always tend to just do what they say on the tin. This one stars Tony Danza and Lea Thompson. Now, Santa Claus The Movie is another old Christmas classic. This movie has my favourite representations of Santa's workshop and his elves. Dudley Moore as Patch is one of my favourite elves ever and I also love Judy Cornwell's portrayal of Mrs Claus and David Huddleston as Santa. It's been a few years since I've watched this movie. Hopefully I'll rectify that this year! "A snowdad is better then no dad." 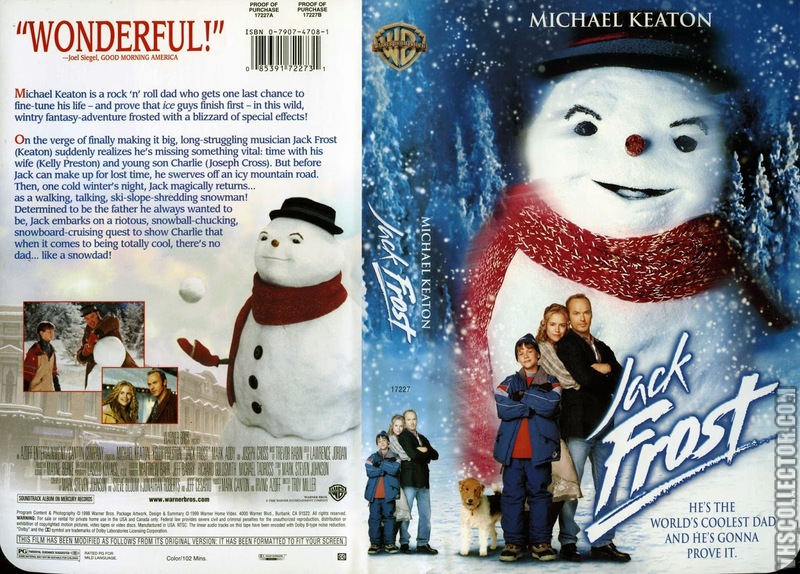 Okay, I'm not sure Jack Frost is strictly a Christmas movie. I'm pretty sure there's Christmas somewhere in it, but it also involves a snowman so... that's Christmasy enough for me! It's pretty sad and I'm not going to lie, I find the snowman a little creepy. But overall I LOVE this movie. Michael Keaton is just great. I can't believe I was eight when this came out though! I remember when I first watched it I thought the boy it in that plays Charlie looked old. Anyway, this is definitely another winter watch I would recommend. Nativity! has become a must in our house at Christmas. It's really for kids and adults alike. There's enough fun for the little ones, and typical British humour for the adults. Martin Freeman is great playing the stick in the mud teacher, but my favourite by far is Marc Wootton as Mr Poppy. He is hilarious. The kids are awesome too, not to mention the soundtrack. It's hard not to find yourself humming the songs to yourself after you watch it. There is also a sequel staring David Tennant, and while the first will always be my favourite, it holds up too. This year they've also released a third one with Martin Clunes. 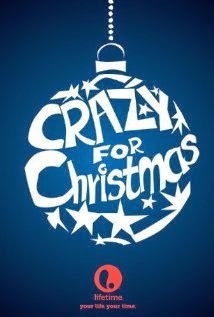 Crazy For Christmas is another television film I happened to come across. It's about a single mother who ends up driving around an eccentric old man on Christmas Eve, much to the disappointment of her son. The old man starts giving away large sums of money as they drive around, in hopes of finding his long lost daughter... you can probably see where I'm going with this. Again, it's a movie that does what it says on the tin. And if like me you like the quirks of television movies, then this will leave you warm and fuzzy! Who doesn't love the movie Elf? Even my mum, who has the attention span of a gnat and therefore doesn't make it to the end of many movies loves it. It's just over all a great movie. Also, blonde Zooey Deschanel in it! The scene with her in the shower singing Baby, It's Cold Outside when Buddy joins in is one of my favourites. Elf is definitely a Christmas must! "I remember that winter because it had brought the heaviest snows I had ever seen. Snow had fallen steadily all night long and in the morning I woke in a room filled with light and silence, the world seemed to be held in a dream-like stillness. It was a magical day... and it was on that day I made the snowman." Last but not least, a golden oldie. I LOVED The Snowman as a kid, before I fully understood how sad the ending was. I think we actually rented the tape from a local store called The Clandy, and just... never returned it. I loved the opening scene with David Bowie. Then when I got a little older I couldn't watch it anymore, the same way I couldn't watch Bambi anymore. I just couldn't handle the snowman melting. However, now there's a sequel it doesn't seem so sad anymore. Maybe it's time I give it a watch again. So that's a list of some of my favourite movies for the festive period. 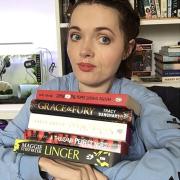 I can't wait to get watching some of them in the lead up to the big day. I'm hoping to get my Christmas decorations up in the next couple of days, then I'll feel so much more festive. I'm looking forward to doing a 'what's on my tree' post! My sister has also Christmas tagged me, so looking forward to doing that post too. How's the run up to Christmas been treating you so far? And any festive movies you'd recommend? I love Christmas so much! Me too! I can't wait until I get my decorations up so it will feel like it's properly on it's way! Great picks and I'm with you... that Jack Frost snowman is REALLY creepy!! Thanks! And yeah, I guess they didn't want to go for cute but... still. Lol.